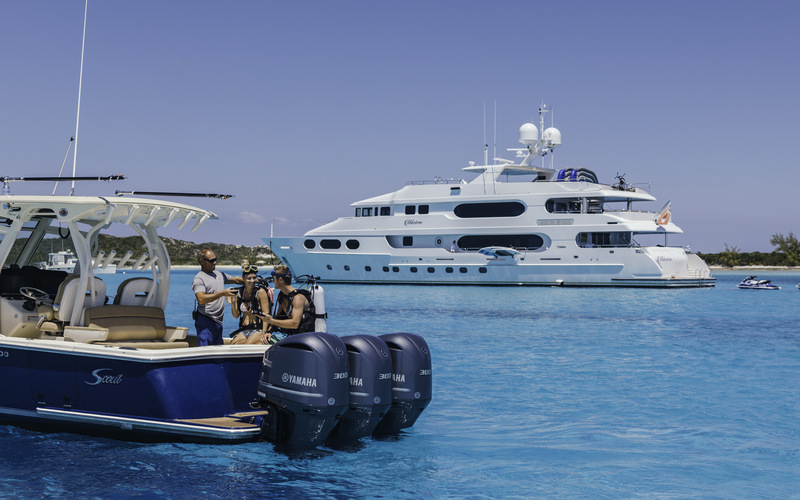 MILESTONE (ex-Party Girl) is a 44.50m (146') luxury motor yacht built by Christensen shipyard and launched in 2008. 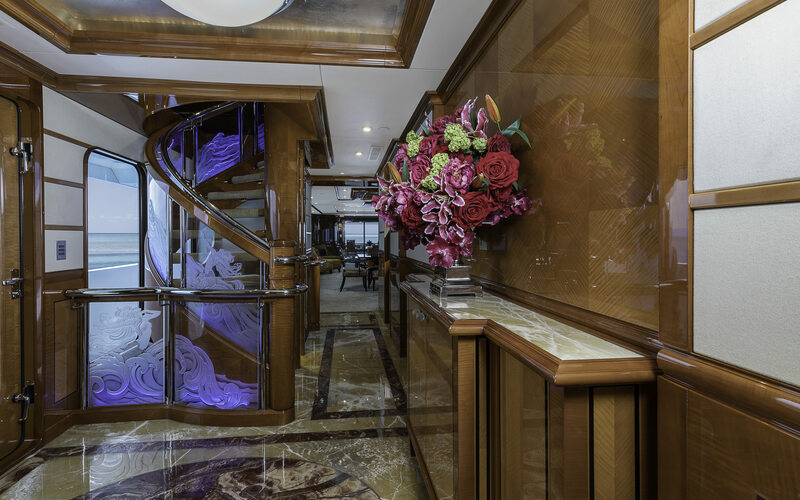 The yacht features interiors by Pavlik Yacht Design and offers guest accommodation for up to 12 in 6 cabins. 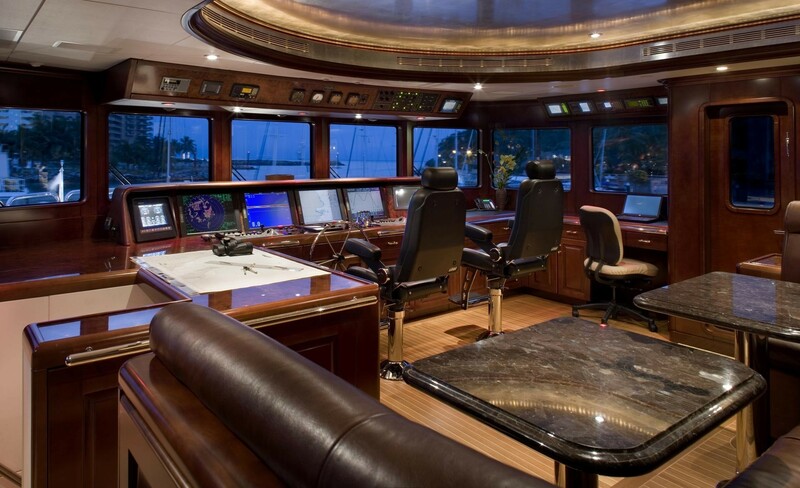 She has a crew of 9. 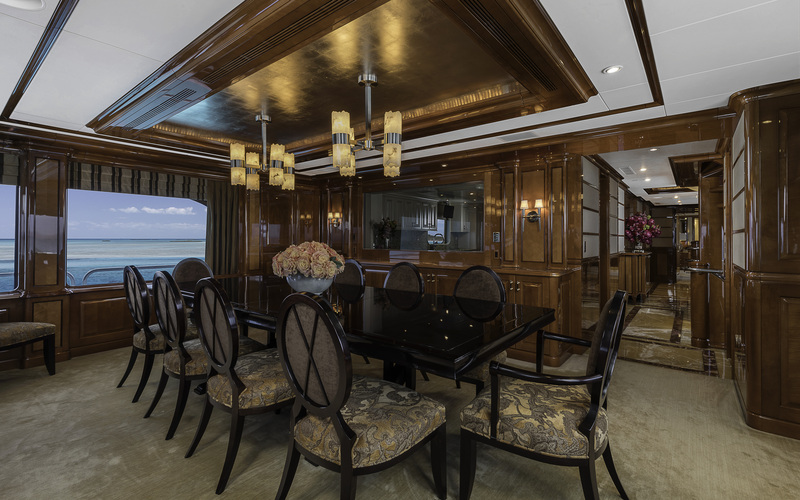 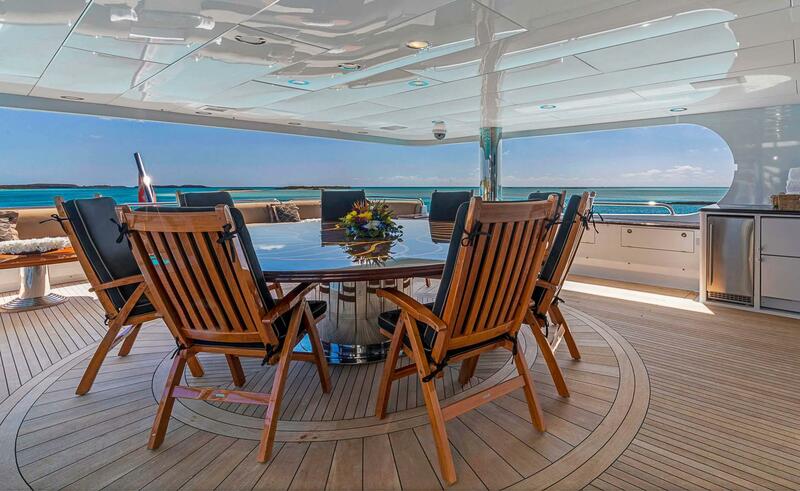 MILESTONE has a main Salon & dining area with a large sofa and offers formal dining with seating for 12. 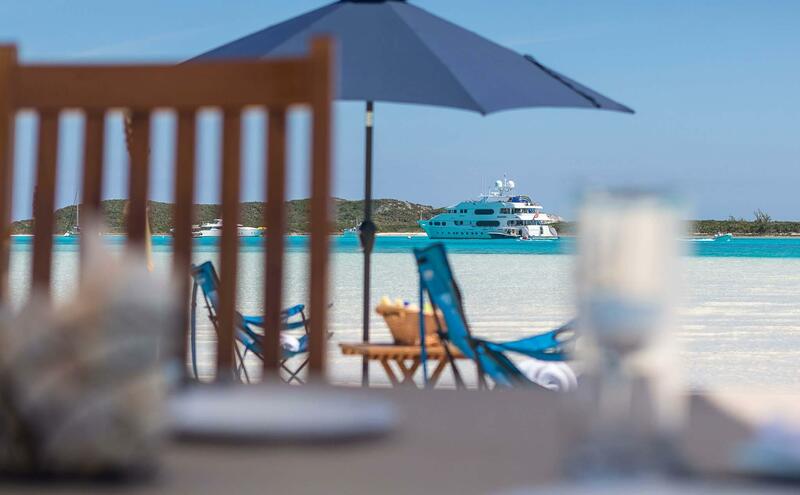 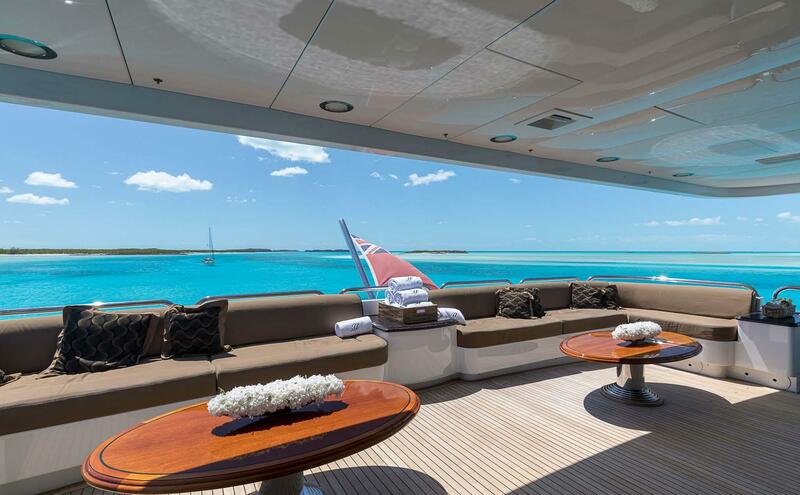 On her aft deck, there is a full-service bar with alfresco dining for 12 guests and the Bridge Deck provides another full-service bar and cinema. 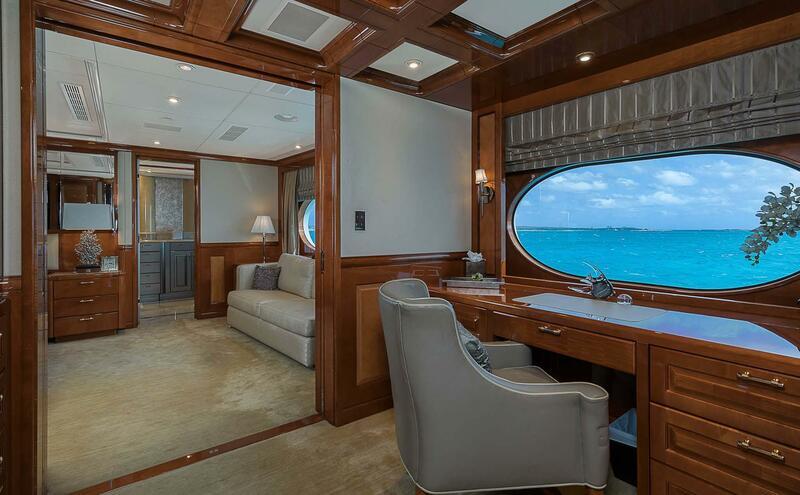 Her Pilothouse is located to forward and is adjacent to the captain's cabin for easy access. 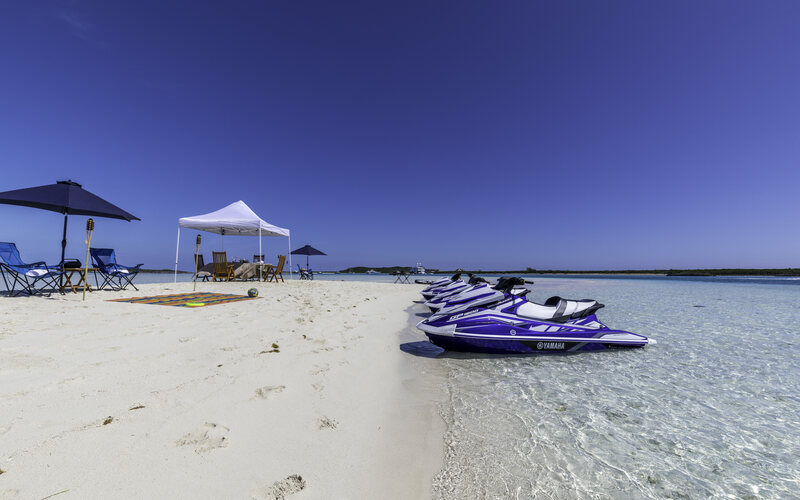 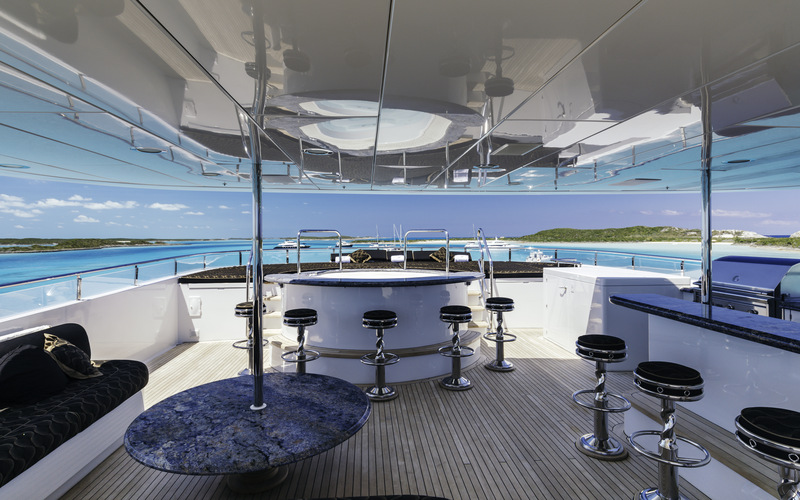 MILESTONE has a sun deck which offers a very spacious area for entertaining, fully-equipped bar with stools, large grill, large oval Spa Pool tub with bar & stools and 1 x 32" Plasma TVs. 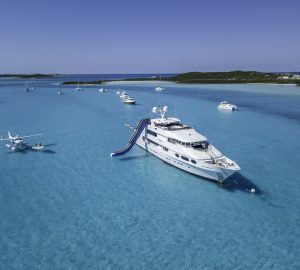 Elevator connects all decks. 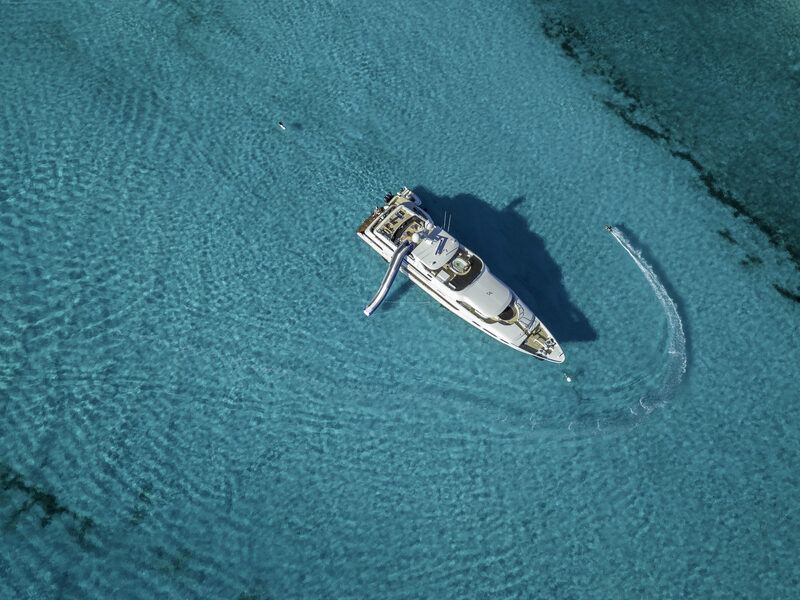 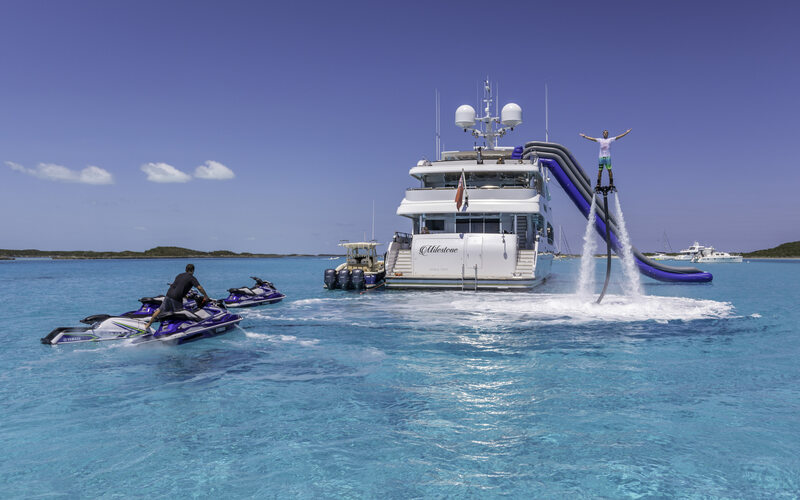 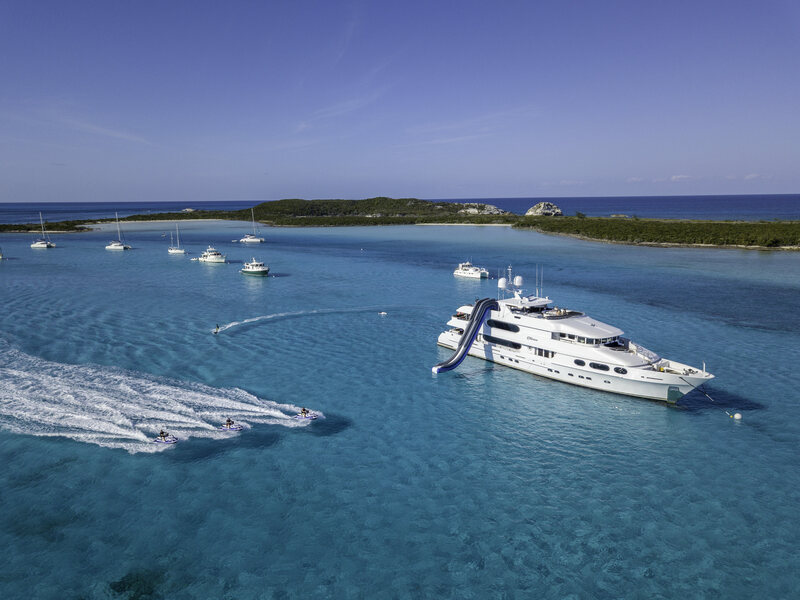 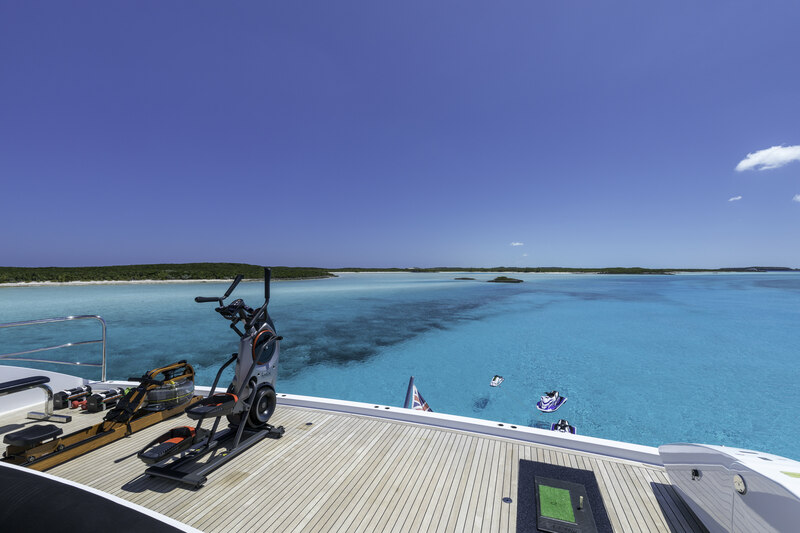 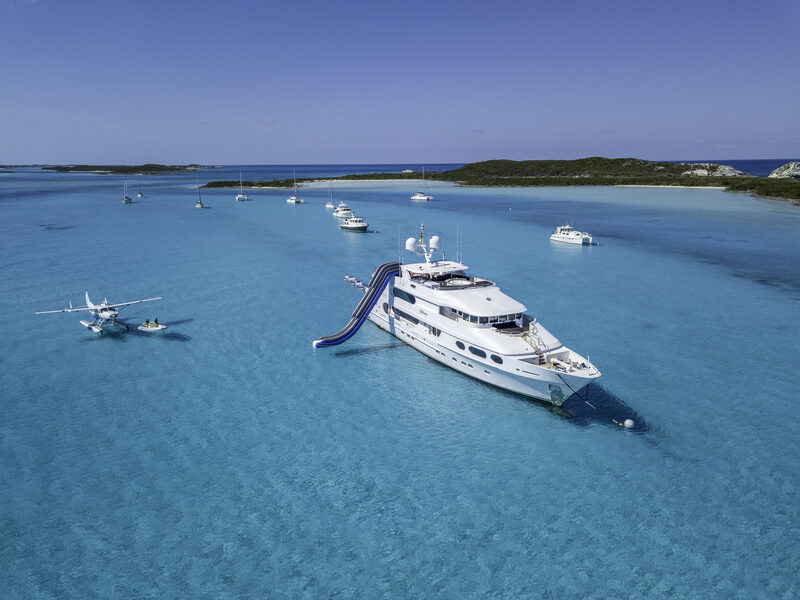 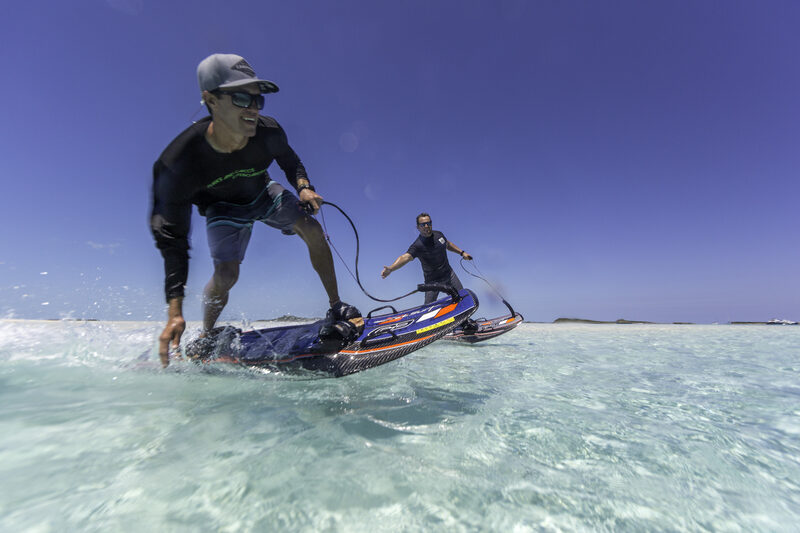 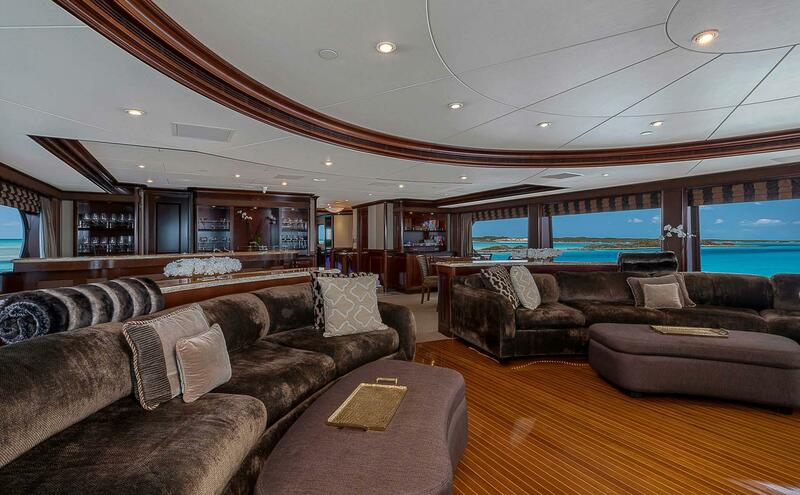 This superyacht also features a very comprehensive water toy inventory, an elevator which connects all decks, as well as zero speed stabilizers. 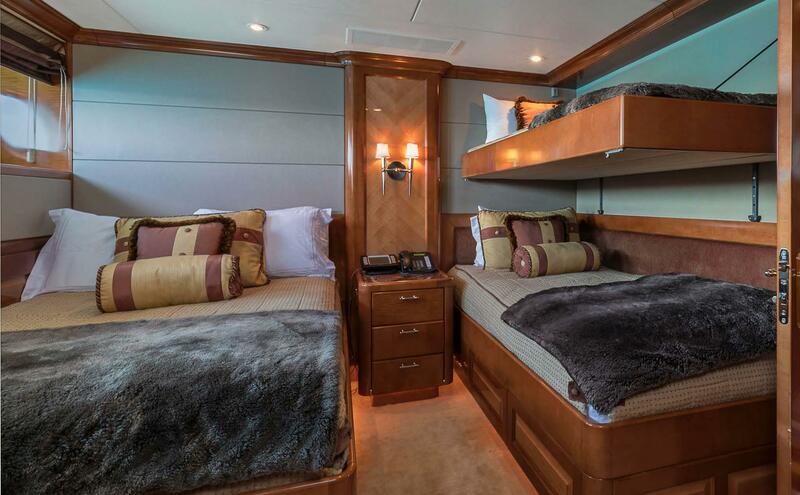 MILESTONE has Guest Accommodation for up to 12 in 5 double and one convertible twin cabin. 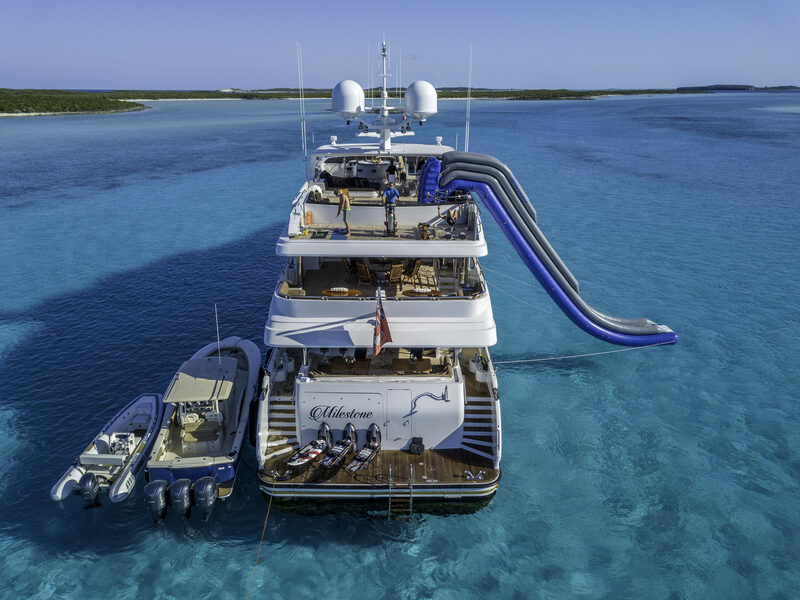 She also offers a main deck full beam master stateroom with King bed, ensuite bath with Spa Pool and separate shower.